I found the world's best car show calendar for Colorado! 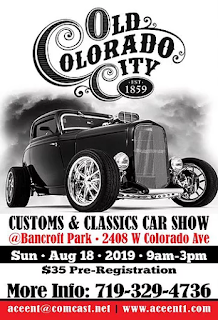 Visit http://coloradocarshow.com/colorado-car-show-calendar/ for more information. First and Main Cars & Coffee - First Saturdays. These shows are very well attended and have grown to several hundred cars on a Saturday. They run from May to October of each year, with the show taking place from 8:00am - 10:00am. The show is at the Holiday Inn next to the Cinemark Movie Theater at the First & Main Center on Powers Blvd. and Constitution in Colorado Springs. Please visit their website for more information. Cars & Coffee - Third Saturdays. Come by and check out the newest cars and coffee event in the northern part of the Denver area! We will be holding a "bring it and show it" event in Westminster on the third Saturday of each month - weather permitting. Cars will be welcome from 7am - noon each third Saturday of the month. The location is the Northwest corner of 120th Ave & Pecos in Westminster. Last Saturdays Car Show - Bass Pro Shops. Every last Saturday of the month (weather permitting) March through October 2019 the Bass Pro Shop in Northern Colorado Springs will be hosting a FREE car show. The Bass Pro Shop's "Last Saturdays Car Show" in Colorado Springs Starts at 8:30am with load in from 7:30am til 8:30am and the show running 8:30am til 11:00am. Come join us for a FREE show at a picturesque location just off Interstate 25. The map locator is here. The 2019 show dates are March 30, April 27, May 25, June 29, July 27, August 31, September 28 and October 26. April 6, 2019 - Saturday - CSEVC Club Meeting @ 12:00 noon. 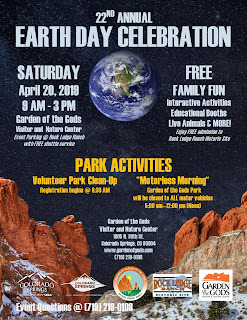 Come to the GOTG Trading Post inside the Garden of the Gods park. 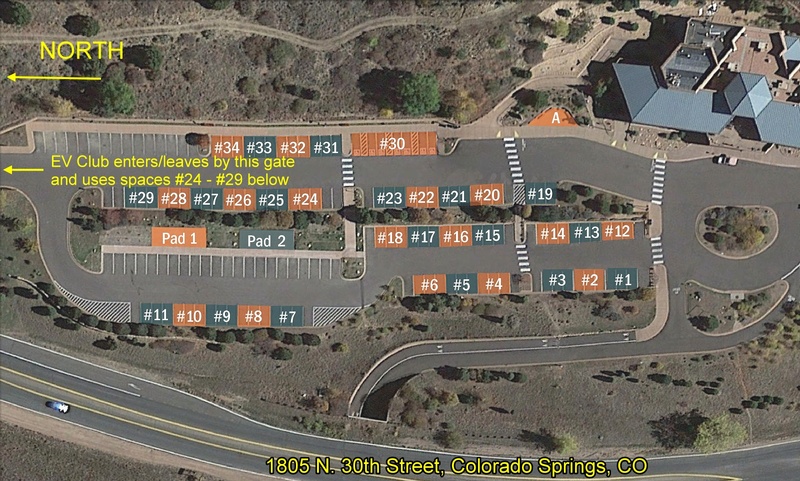 The address is 324 Beckers Ln, Manitou Springs, CO 80829, and the map location is here . Show up at 11:00am if you'd like to talk, we use the North/West parking lot (it's the left parking lot when facing the building). 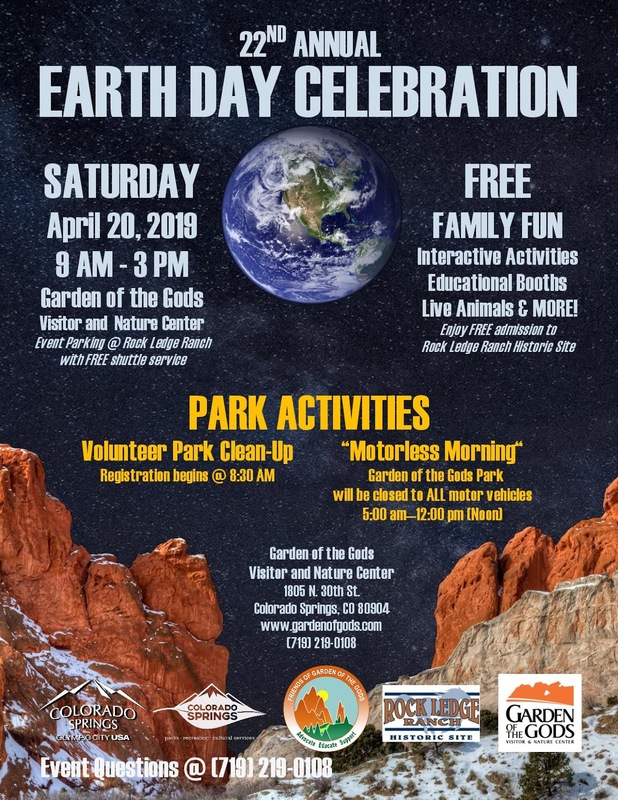 April 20, 2019 - Saturday - Earth Day Celebration at Garden of the Gods Visitors Center, Colorado Springs from 9:00am - 3:00pm in the North Parking Lot. Our club has committed to having at least 4 EVs at this show, please notify Wilson Hitchings (admin AT csevc.com) if you plan to attend. Please arrive and be parked by 8:30am if you intend to participate for the start of the show. After that, please only arrive/leave in 2 hour blocks of time (10:00am, noon, 2:00pm). Our club has spots #24 - #29 and will arrive/exit on the North Gate (left in the photo below). May 17 - 19, 2019 - Tesla Sounds of Silence Rally in Custer, SD. Visit the website https://visitcuster.regfox.com/tesla-rally to register. 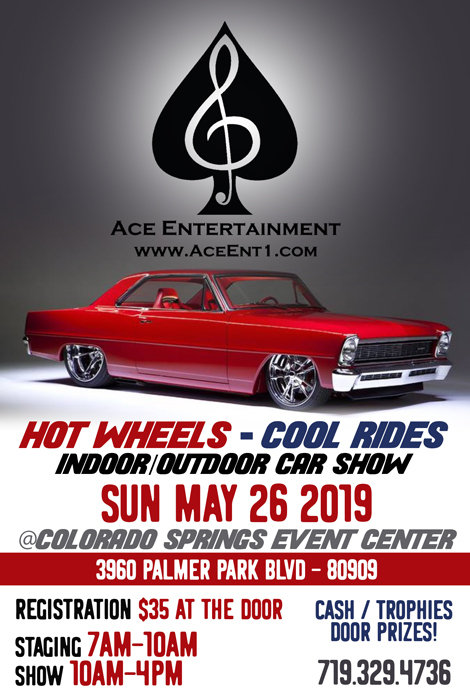 May 26, 2019 - Sunday -Hot Wheels-Cool Rides Car Show sponsored by Ace Entertainment. 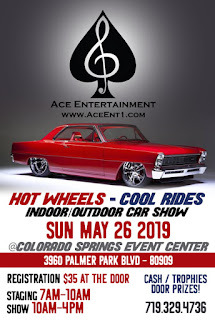 From the same company who brings you the Old Colorado City Car Show and the First Saturday’s Car Show, Ace Entertainment in conjunction with Mod Finishes presents the Hot Wheels and Cool Rides on Sunday, May 26th, 2019 from 10:00AM - 4:00PM. This indoor/outdoor show will display cars and trucks, foreign and domestic, all years, all makes, and all models. You may register online at https://aceent94.wixsite.com/ace-entertainment1 . June 9, 2019 - Saturday - Concours D'Elegance, 9:00am - 3:00pm. This is the premiere exotic car show of the year! It takes place at Arapahoe Community College in Littleton, CO. Visit their website at http://campaign.r20.constantcontact.com/render?m=1102266679434&ca=10422a83-8d8f-4993-bc62-a0aced2a793c . June 15, 2019 - Saturday - The 11th Annual Classic Rock Cruise In will be held on Saturday, June 15, 2019, from 10am to 3pm in historic Downtown Castle Rock, Colorado. This is not an EV event but a great all-day show to attend. Visit http://www.classicrockcruisein.com/ for the event information and registration. They had over 320 cars last year, give prizes/trophies, you are strongly urged to pre-register ($25). June 22, 2019 - Saturday - Energy Expo, 9:00am - 1:00pm. 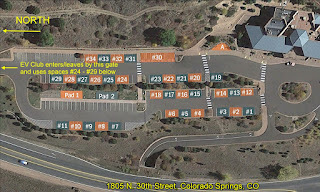 Sponsored by the Colorado Springs Utilities at their Mesa Road complex (the map locator is https://goo.gl/maps/mdf2xF4QdQv ). The EVs are out front this year (we were in the back last year), and they'll be room for 6 cars at a time. We're able to swap out cars, so you can come and go as you please. July 27, 2019 - Saturday - Sustain-A-Fest sponsored by the Colorado Springs Municipal Government has moved the event to Acacia Park in downtown Colorado Springs. This is not the same as Drive Electric Earth Day or regular Earth Day events; our club participates in all of them. More details to follow. August 18, 2019 - Sunday - Old Colorado City show is sponsored by Ace Entertainment. The entire downtown of Old Colorado City is blocked off for this show. Hundreds of cars show up, it's quite the event. It's an all-day show with a $35 pre-registration fee.